Diosdado Gica arrived in Salinas from the Philippines at the age of 12, a stranger with no grasp of the languages being spoken around him. “The expectation of going to college wasn’t really in my realm of possibilities,” Gica said during a recent telephone interview from his office in New York City, where he is, among other things, an adjunct professor at City College of New York and the director of an educational program for immigrants. 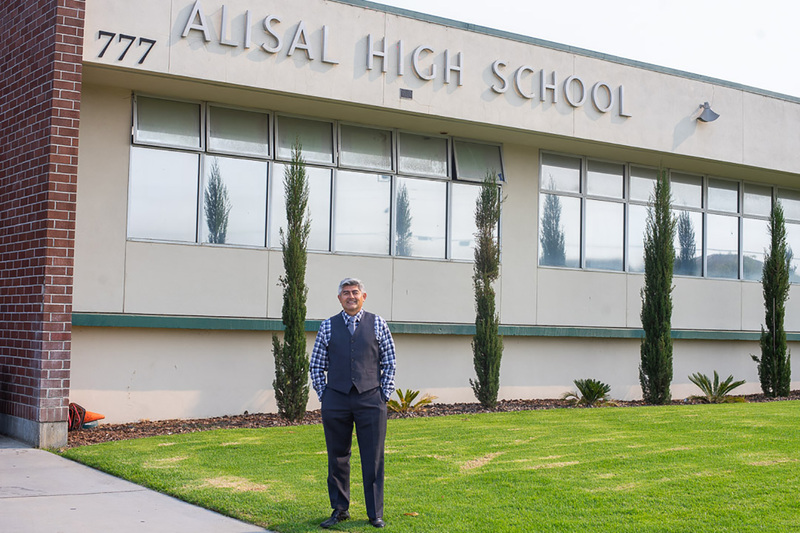 When Gica arrived at Alisal High School in the 1980s, expectations weren’t high for anyone at Alisal, he said. Students were mostly children of low-wage farmworkers. “Alisal was a factory that churned out more migrant workers,” he said. Gica took English as a Second Language classes throughout high school, and barely understood what teachers were trying to tell him in the other classes. He said he felt like Charlie Brown in the classroom, and all he heard from his teachers was whanck-whanck-whanck. Shirley was an aggressive single-minded type who could somehow make a kid believe they could achieve the impossible. His brief tenure at Alisal High became the stuff of legend. And his unceremonious dismissal from the school despite his successes generated a cycle of national news stories. “He rocked the boat, but good for him,” Gica said. At Alisal in the 1980s, nearly 65 percent of the high school students dropped out before earning their diplomas. Education was disrupted for many students who followed their migrant families between Salinas, Yuma and the Imperial Valley. Higher education was not even on their radar. But in 1986, the one year that Shirley taught at Alisal High, 84 of the school’s 225 seniors ended up going to college. Many ended up at Ivy League schools and private liberal arts universities across the country, while others went on to community colleges before continuing their academic careers elsewhere. Gica said Shirley instilled a sense that he deserved better, that opportunity was around the corner. “I can still see him, in my mind, getting in my face,” Gica said. Gica was barely proficient in English and his GPA was abysmal, yet Shirley convinced him that he should apply for admission to 10 different universities. “It was like he was dreaming of something on my behalf,” he said. Gica’s father supported his family on a truck driver’s income, and Gica worked at McDonald’s. Gica was accepted to Wabash College, a small liberal arts college for men in Crawfordsville, Ind. It was a bold move for Gica, running off to a tiny town in middle America when he could barely speak English. Bolder still because his parents, traditional Catholics who worried about losing their son, were dead set against it. He earned a degree, and found jobs teaching in Indiana and in New York City. He later earned his master’s from City University of New York and then a doctorate in philosophy from Fordham. In addition to his work as an adjunct professor, he is a funding specialist for nonprofits. He works in Manhattan, not far from the World Trade Center. He also developed and launched the New Americans Initiative for the YMCA of Greater New York. 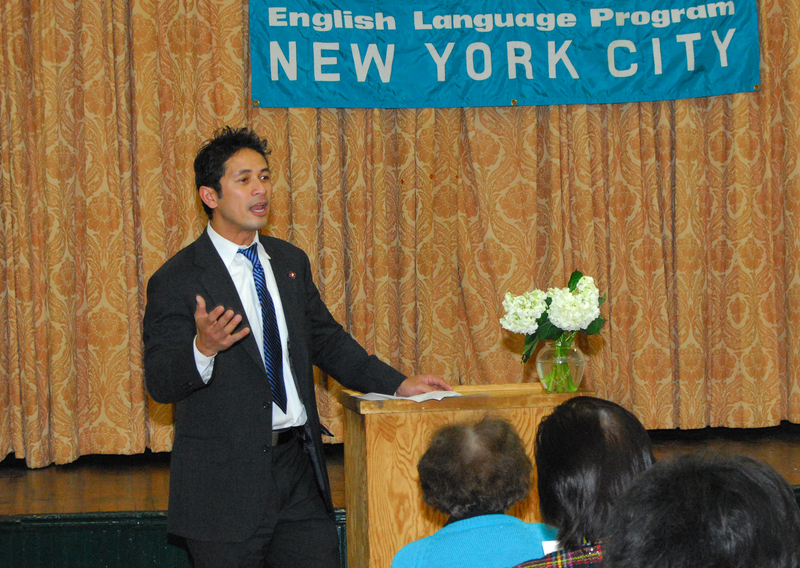 The program serves new immigrants, and teaches them English as a second language. 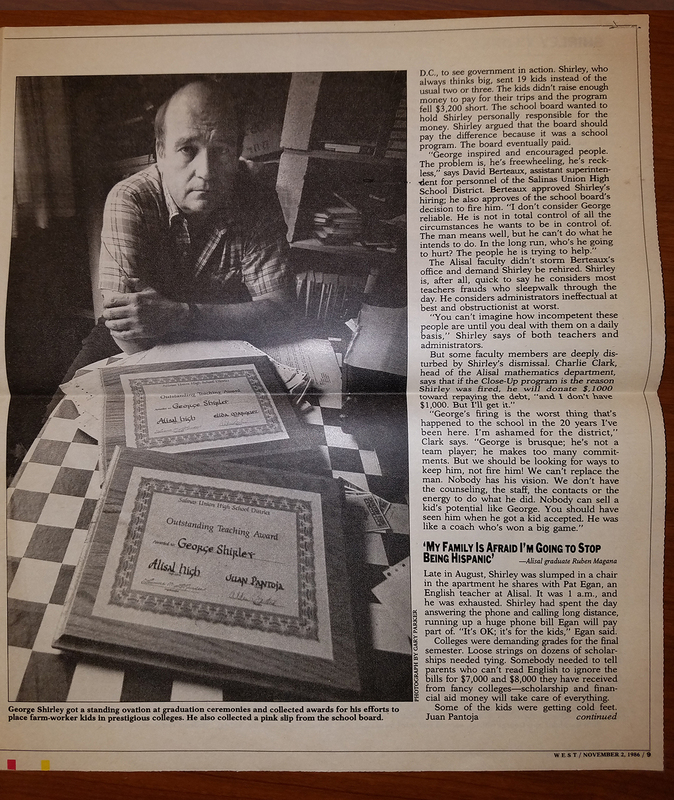 George Shirley featured in WEST Magazine, 1986. Not everyone from the Alisal High Class of ’86 is willing to give Shirley all the credit. Another AHS graduate who went on to a prestigious Ivy League university would not speak to Voices about her experience; she evidently worried that the “slant” of the story would portray Shirley as some sort of hero who worked miracles to the benefit of kids who were headed nowhere. “So many other teachers … went out of their way to support our dreams — way before Mr. Shirley joined AHS,” she said in an email declining to be interviewed. Those teachers should also be acknowledged, she said. I covered George Shirley’s meteoric and troubled tenure at Alisal when I was a (much) younger reporter for a local daily newspaper in 1986. Even then, I wondered whether he was just another white guy with a savior complex who made enemies unnecessarily because he thought that’s the only way to achieve his goals. Shirley had consciously portrayed the staff and administration at Alisal as indifferent educators who assumed the worst from their students. He used the tactic to whip up sympathy on behalf of college applicants among university recruiters. But that tactic assumed systemic racism and it generated resentments among administrators and other teachers. Could it have been that bad at Alisal High in 1986? I don’t like to be cynical about such matters, but you couldn’t help but wonder. In the end, it doesn’t matter what I thought then, or what I think now. The fact is, Dio Gica earned a doctorate and now lives a happy and productive life in New York City, and he attributes his success to Shirley. George Shirley was born in Indiana, but spent his childhood in Tennessee, a self-described “hillbilly” who earned a law degree at the University of Denver in 1966, according to a feature obituary written about his life by the Los Angeles Times in 2004. He was a social justice warrior out of school, campaigning for George McGovern, fighting for the oil rights of reservation Indians, and lobbying in Washington and in Sacramento for civil rights and environmental groups. He was supervising attorney for California Rural Legal Assistance for a time in the 1970s. He ended up in Monterey, where he set himself up as a private trial lawyer. He kept a busy caseload, much of it pro bono. And in late 1983 he suffered a breakdown outside the county courthouse, waking up in the hospital a day later, according to the Times. After he recovered, Shirley got work as a substitute teacher for the Salinas Union High School District. He was later offered a one-year contract to teach government at Alisal. He was 46 years old at the time. He made an immediate impression — though not such a favorable one to school administrators. Dramatically, he ripped up the outdated history textbook issued to the class and tossed it in the garbage can. He instead spent the year using the U.S. Constitution as his teaching manual. He invited guest speakers to class, had his students read newspapers and discussed current affairs. Another class requirement: he required his students to apply to at least 10 colleges and universities outside California, and three in the state. With every new victory, Shirley would march his college-bound students into the principal’s office and announce the good news over the PA system. And, for a while, school administrators were all on board about the students’ successes. He and Pamela Bernhard, a counselor at AHS who became a friend and an ally, set up office hours after school and on Saturdays to help students with their applications and admission essays. He urged the students to play up their poverty. If their essays didn’t bring a tear to his eyes, he’d demand a rewrite. After months of waiting, acceptance letters started pouring in. Students were being accepted to Ivy League universities and small liberal arts colleges in large numbers. Administrators marveled at their successes, noting that only nine Alisal students had gone on to four-year schools the year before. The school’s principal, Gary Horsley, told me in April of that year that the entire school had been stressing “positive self-esteem” and “high expectations.” But, he added, “we should not overlook that this is one heck of a senior class.” Horsley also credited Shirley for inspiring the students. Bernhard told me that she and Shirley had been motivated by their students’ maturity, their desire to learn and their need to succeed. But as the story of this incredible class spread, it all took a bad turn for Shirley. 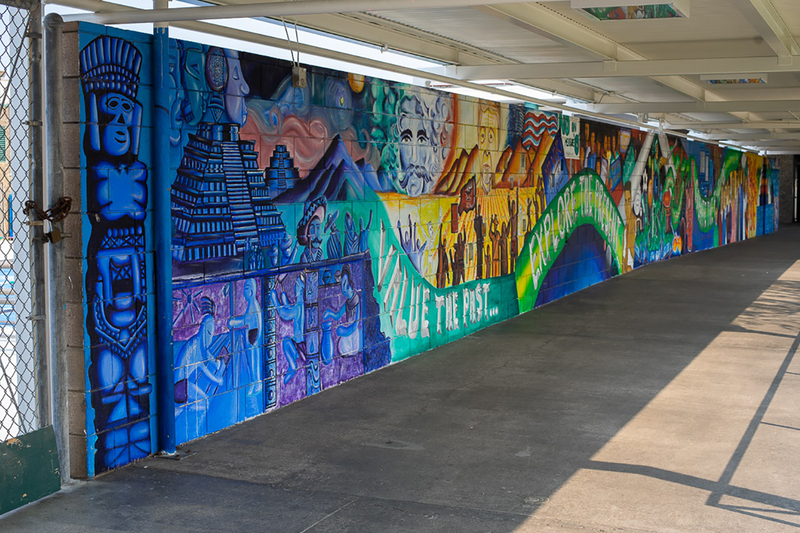 School administrators became increasingly alarmed when Shirley suggested publicly that they had been holding students back, telling college recruiters that Alisal deprived most students of a quality education. 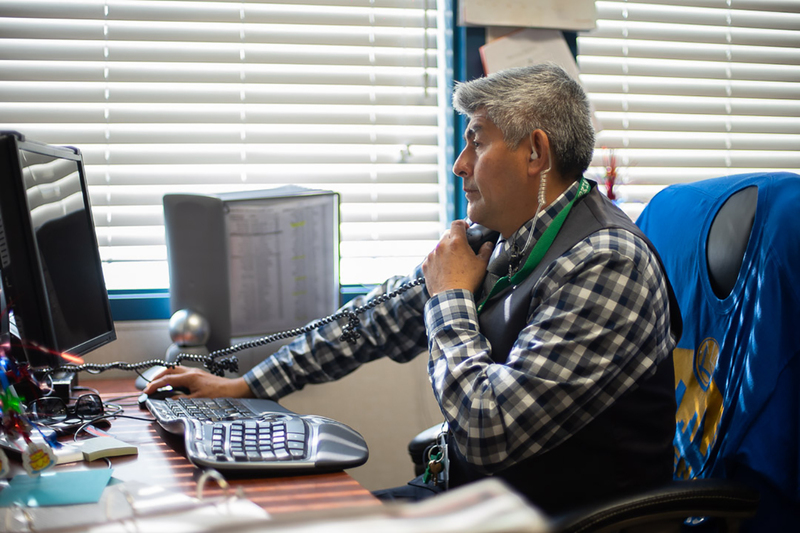 When he received notification that his contract would not be renewed — on the same day he was named Teacher of the Month at Alisal — administrators would not give a reason. But rumors had circulated that Shirley had psychological problems. There was also talk that he had mismanaged a student field trip to Washington D.C., leaving the school with a $6,000 tab. His successes and his termination became a brief media sensation. The Times wrote a long story. People magazine did a piece that featured a photograph of Shirley standing in a lettuce field, his students standing behind him. After leaving Alisal, he stewed over what he considered the injustice of his termination and for a while considered a lawsuit against the district to get his job back. He also pitched his story around Hollywood, but “Stand and Deliver,” the true story about an inner city teacher named Jaime Escalante, was released in 1988 — and it had a happier ending. Dave Bell, the late TV movie producer, told a reporter in 2000 that his great failure was his inability to get the Alisal story filmed. He had given Shirley a five-year option on his story, but was unable to get it made. “Everybody said that two movies about education is one more than the public wanted,” Bell told Richard Lee Colvin, a Times reporter, in 2000. Colvin wrote a 4,000-word treatise about Shirley’s failure to get the movie of his life filmed, and he concluded that Shirley himself was mostly to blame. Through it all, Shirley insisted that he control how the story should be told. He rejected one script and walked away from other deals. “It’s also characteristic of Shirley, who throughout a checkered career as a lawyer and a teacher has always put his own rough-edged idealism ahead of economic gain,” Colvin wrote. Shirley eventually died of cancer at his Sacramento home in 2004. What is perhaps most striking about the AHS Class of ’86 is the number of graduates who ultimately became educators. And many of those students returned to Salinas to further their careers. Lopez was born in Mexico and arrived in Salinas at an early age. The assumption was that he’d work in the farms. His father assumed that. So did Alisal High administrators. The elementary school system had no bilingual classes, so he was forced to “sink or swim,” he said. Finally, a teacher took him under his wing, kept him in class during lunch break to teach him five English words a day. He learned to say the words, and he had to do the extra work to learn their definitions. Even then, he missed at least a full year of elementary school while he worked in the fields. Based on his grades in elementary and middle school, he was placed in “what you might call the bonehead classes” at Alisal, Lopez said. He was doing a lot of trade-school classes, but had no aptitude for it. During his freshman year, he found a counselor at Alisal with whom he could bargain. The counselor agreed to move him into college-track classes if he promised to keep his GPA above 3.0. Lopez finished high school with high grades, but a big fancy college was never in the cards until George Shirley showed up, he said. At that point, he said, Shirley became his champion. Lopez thought he’d go to the first school that accepted him — UCLA — but Shirley urged him to head east. He got accepted at Bard College, a bucolic private liberal arts campus on Annandale-on-Hudson in New York. Then, two days before Lopez was scheduled to sneak out of the house to head for Bard — like Gica, he had to run away from home to go to college — Shirley got a call from the admissions director at Bard. She wanted to tell Shirley that, after a review of his transcript, Lopez wouldn’t be able to attend after all. Shirley pleaded and cajoled with telephone calls back and forth to Bard — and he was making those calls even after he had lost his job at Alisal. He finally convinced the admissions director that his math was correct, that the school’s was wrong. Meanwhile, Lopez’s father was adamantly against college, so Lopez conspired with one of his teachers; the teacher picked him up at 5 in the morning to drive him to San Jose Airport. And just like that, still in his teens, he had moved from East Salinas to a place that referred to itself as a “hamlet.” He was the first person in his extended family to attend college. He remembers arriving on campus carrying his belonging in Huggies boxes. “I was the only Mexican-American in the school,” he said. Other Mexicans attended, he said, but they were from Mexico and their parents were millionaires. Lopez finished Bard in four years. The entire time, his father pressured him to drop out, to return to Salinas to work in the fields. He was torn, but his college classmates convinced him to stay. He thought he would become a lawyer, but he took a year off from school to work as a coordinator in the national office for Teach for America in New York City. Inspired by what he had seen with the program, and knowing the difference he could make in a place like Salinas, he decided to pursue a degree in education. He went to Brown University. In Salinas as a teacher, he said he tried to inspire his students like George Shirley motivated him. He said students would tell him they wanted to go to fancy Ivy League schools, so Lopez took them on field trips to Carmel High and Robert Louis Stevenson. He showed them the curriculum at those wealthier schools, had them shadow the best students there, so they would know what they were up against, so they would lift their game. He is proud that many of them went on to universities. Lopez said his father never forgave him for leaving. “He was a proud man,” he said. On the other hand, Lopez’ younger brothers followed his example. They all went to on to college. George Shirley had dragged some professional-looking gentleman in from Monterey for a lunch-hour presentation to some of his students about Princeton. Princeton! He might as well have been talking about Turkestan. The gentleman screened one of those recruiter-like films that portrayed a serene campus, the sort of place where a beautiful waifish woman, in her own little world, plays a classic tune on her cello in the quad. Everybody laughed it off, especially the cello part. Nobody from the neighborhood could imagine going there, said Miguel Cordova. Except Juan Pantoja. Cordova was as unlikely as anyone else in his class. He was the youngest of a single mother of six. He said she had immigrated to Salinas because a single mother just can’t make it in Mexico. Cordova was born in the United States, and his mother started bringing his older brothers and sisters into the country after she had worked out her immigration issues. She worked long hours in the Salinas packing sheds, and Cordova said she never earned more than $16,000 in a year. No one from his family had graduated from high school, much less a fancy university. Shirley pushed Carleton College on him. Shirley had spent a lot of time in Minnesota, was familiar with the campus. He told Cordova he’d fit right in. So off to Carleton he went, the only Mexican-American on campus. Stranger. Strange land. Cordova said he was acutely aware that a lot of people at Alisal High, in the community, expected failure from all the kids who ventured far from East Salinas. His first trip back to Salinas, during an extended winter break his freshman year, he ran into a former Alisal High teacher at a bank. He later visited Pamela Bernhard, back on campus, who had heard from the teacher that he had flunked out, that he was already back in town after only a couple of months. He can laugh about it now. He graduated in four years and became a recruiter for Carleton for a bit. He’d visit communities elsewhere in country, communities similar to East Salinas. Wherever he went, he’d run into a teacher or a counselor who reminded him of George Shirley. Cordova felt out of place at Carleton. He ran into a student who told him he’d never seen a Mexican before. The school newspaper listed new students and where they came from, and it was the way the rest of the student body could know who “deserved” to be there and who was affirmative action, he said. “I just had this attitude, like, what are you going to do with that chip on your shoulder?” he said. Like many of his Alisal classmates, Cordova landed in education after college. He has worked for the state Department of Education in Sacramento for 20 years. 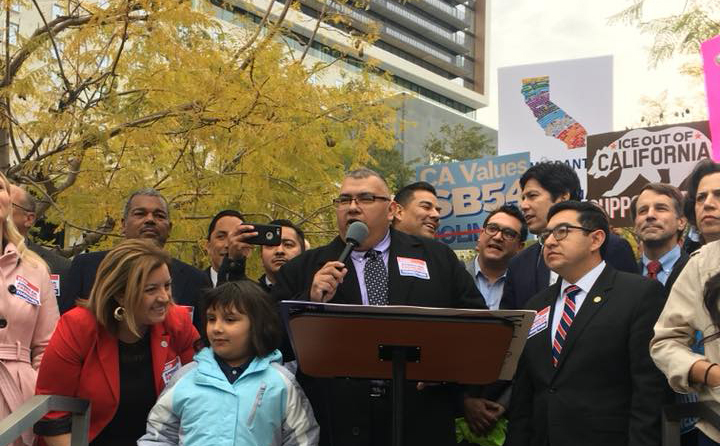 He earned his master’s in public policy administration at Sacramento State and is also executive director of Chicano Organizing and Research in Education, which promotes educational opportunities for Chicanos and Latinos in the region. When talking to Class of ‘86 students like Cordova, Juan Pantoja’s name will inevitably come up. He was a leader in the class, and people believed him when he said he was going to Princeton even if he didn’t know how to play the cello. Pantoja was born in Mexico, one of nine immigrant children raised by farmworkers in the Salinas Valley. He was a bit of a trailblazer at Princeton, establishing Ballet Folklórico and the Chicano Caucus on campus. After graduating in four years, he declined an offer to attend Harvard Law School and opted instead to work for Teach for America. He became an educator in South Central Los Angeles and worked there for years, while earning two master’s, from Harvard’s School of Education and from UCLA’s Anderson School of Management. Pantoja died eight years ago. Cordova said he is grateful that classmates like Lorena Silva and Jorge Salas are working so hard in their communities to encourage college education to students who might not otherwise believe that college is an option. Silva, who went off to UC Santa Barbara, returned to Salinas and has been the coordinator of California Mini-Corps Program at Hartnell College for about two decades. Mini-Corps is a statewide program designed to provide instructional services for migrant students in elementary and high schools, using a cadre of trained college tutors. Silva was born in San Luis, across the border in Sonora, Mexico, and entered the United States stashed in the tire compartment of her father’s station wagon at the age of 9. She and her husband, Ruben Pizarro, founded the Dream Academy, a program that encourages high school students to “empower and unite Salinas youth.” Pizarro is also an Alisal graduate, but not from the Class of 1986. However, like Shirley, he was once a lawyer who worked with poor and immigrant families before abandoning law to teach at Alisal High. Salas, originally from Michoacán, is a Spanish teacher at Vanden High School in Fairfield. He attended Macalester College in Saint Paul, Minn., out of Alisal, and earned his master’s at Colorado State University. 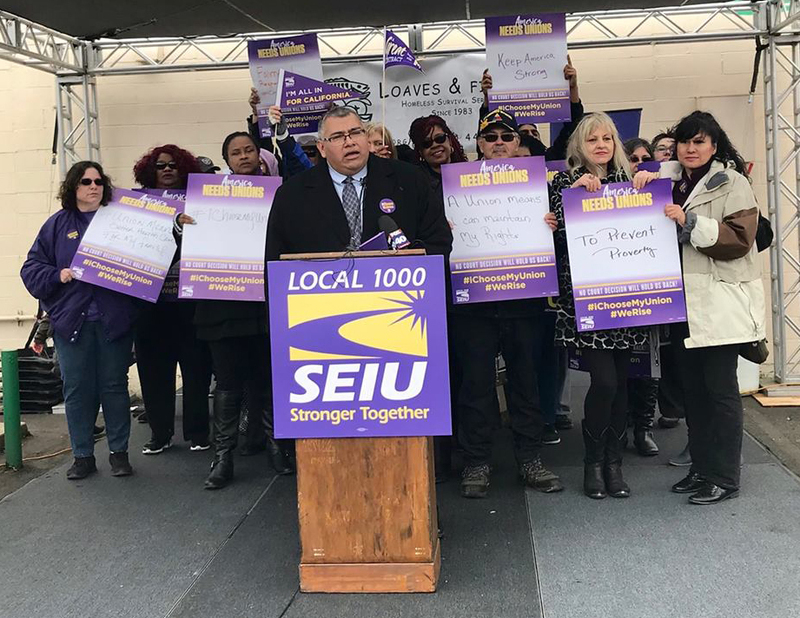 He is also executive director of Latinos Unidos Club for Education, a support program to encourage Latino high school students to plan for their futures. Juan Pantoja was born in Mexico, one of nine immigrant children raised by farmworkers in the Salinas Valley. After graduating Princeton in four years, he declined an offer to attend Harvard Law School and opted instead to work for Teach for America. The academic successes of the 1986 class at their respective four-year colleges later opened the door for Alisal students at some of those schools. The success of the class might have spurred lasting improvements on campus. The latest California Department of Education report shows that more than 91 percent of Alisal High students graduated in 2017, higher than the state average by about 9 percentage points. And they inspired their underclassmen to look beyond California to continue their education. Two years after Salas started school in Macalester, for instance, Minerva Lopez and a couple other students from the Alisal Class of ‘88 were accepted at the Saint Paul campus. Dr. Minerva Perez-Lopez is now a family medicine physician at Natividad Medical Center in Salinas. And Dio Gica turned out to be the first Alisal student in what has become a steady Salinas-to-Crawfordsville pipeline at Wabash College. Since he graduated in the early 1990s, a good number of Alisal’s male students have earned degrees at the school. (Wabash, incidentally, still has the distinction of being one of only three men-only private liberal arts in the nation.) Jim Amidon, director of strategic communications at Wabash, says that at least a dozen Alisal students have attended Wabash since the year 2000 — records prior to 2000 are difficult to retrieve. Amidon said the school’s alumni directory shows that 12 Wabash students now live in Salinas. Perhaps more than anyone else in the class, Cordova managed to stay in touch with Shirley. Shirley traveled to Carleton to attend Cordova’s graduation. And they happened to run into one another, years later, when Cordova was attending an affirmative action community meeting in Oak Park, a neighborhood in Sacramento. Someone was raising hell in the back of the room, and of course it was Shirley. They’d get together occasionally. He was still trying to push his movie, trying to write a book. “It was important to him that people know what happened at Alisal,” he said. Cordova also thinks the story should be kept alive. Meanwhile, during a telephone interview from his office in New York, Gica assured me that he eventually made amends with his family, a couple of years after he ran away from home. The family moved to Modesto, and he visited them as often as he could. After he graduated from Wabash, his parents asked him for his college diploma. They told him they wanted to frame it for him. They hung the diploma on their own wall, and wouldn’t give it back.